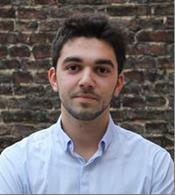 Guilhem Hervé is a MSc student in SKEMA Business School, majoring in Project and Programme Management and Business Development (PPMBD). He is also studying engineering in the Graduate Engineering School Centrale Lille in a Masters program, majorimg in Strategy and Management of Organizations. In 2017, he worked for Thales, a French multinational company designing electrical systems for aerospace, defense and security as enterprise architect assistant in Velizy, France. He is highly motivated by environmental and sustainable issues. He lives in Lille, France now, and can be contacted at [email protected].